In the event of a fire, a smoke alarm can save your life and those of your loved ones. They are a very important means of preventing house and apartment fire fatalities by providing an early warning signal — so you and your family can escape. Smoke alarms are one of the best safety devices you can buy and install to protect yourself, your family, and your home. Many hardware, home supply, or general merchandise stores carry smoke alarms. If you are unsure where to buy one in your community, call your local fire department (on a nonemergency telephone number) and they will provide you with some suggestions. If your smoke alarms are hard wired, that is wired into the electrical system, you will need to have a qualified electrician do the initial installation or install replacements. For battery powered smoke alarms, all you will need for installation is a screw driver. Some brands are self-adhesive and will easily stick to the wall or ceiling where they are placed. For all smoke alarm installations, be sure you follow the manufacturer’s instructions because there are differences between the various brands. If you are uncomfortable standing on a ladder, ask a relative or friend for help. 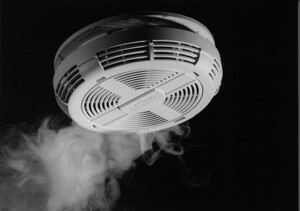 Some fire departments will install a smoke alarm in your home for you. Call your local fire department (on a non-emergency telephone number) if you have problems installing a smoke alarm. 1. 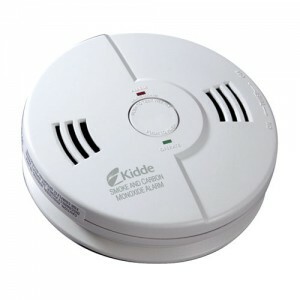 Smoke Alarms powered by long-lasting batteries are designed to replace the entire unit according to manufacturer’s instructions. 2. In standard type battery powered smoke alarms, the batteries need to be replaced at least once per year and the whole unit should be replaced every 8-10 years. 3. In hard-wired, battery back-up smoke alarms, the batteries need to be checked monthly, and replaced at least once per year. The entire unit should be replaced every 8-10 years.